Our fleet of removals vans mainly consists of Mercedes Sprinter box vans that have a capacity of 23 cubic metres per van. As a rough guide 1 van will move a 1 and 2 bedroom flat or house and 2 vans will move a 3-5 bedroom house. It is important to state that these are average size houses! Our removals vans carry out many domestic removals each year in Suffolk, Norfolk, Essex and Cambridgeshire. We also travel much further afield to Cornwall, Scotland, Wales, Northern Ireland and Ireland when our customers move in or out of East Anglia. We also do international removals to France, Spain, Italy, Germany, Holland or any other country that the customer specifies. With each removal we take great care to ensure we turn up when we say we do, we move items quickly but carefully, in a protected manner and we ensure everything reaches it’s new destination without damage and in a hassle free manner. We can provide a team of people for your move. You have the choice of contracting out the complete job, including the provision of boxes, packing material, and a complete packing service. 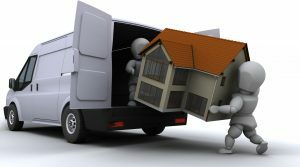 Alternatively you can use us as our Man and a Van Service, where we supply as little as one man and one van, where you can help us with the move. The main advantage here is that your costs are reduced. So it is down to you to choose the service you require. Our removals vans are well maintained and are large enough to carry out all types of moves. Our people are well trained and have excellent experience in local, long distance or international removals. Our vans carry trolleys and porters trolleys to make the movement of goods easier. We also supply a large number of blankets to help protect your possessions. In addition we tie many items down with sash ropes to again minimise movement and damage to your goods. Our removals vans are speed limited to 55 mph. This is not something required by law but we do this to minimise the amount of vibration and damage to your goods. it is also good for the environment by reducing green house gases, which is good for everyone and reduces the probability of accidents. If you are travelling to your new destination in your own car, you may find that you will get there before us, as we will stick to our speed limits. You will find our removals vans drivers and staff friendly, helpful and we have a “can do” philosophy to getting the job done! I have used this company twice now, first for a house removals from Colchester to Stowmarket then for a house clearance for my mother in Stowmarket. Both jobs went without a hitch and the staff were very very good. Amazing article, You have explained every point in a good manner and in a efficient way. The ideas are amazing and content is good. As a single mum, I was a bit helpless, but everything went very well for our move from Saxmundham, Suffolk to Melton, Woodbridge. Good to hear that you keep your speed down for economy and safety! Copyright © 2017 eastcoastremovals.co.uk All rights reserved.